Today’s food industry is among the most complex and specialised market sectors in the world. This is highlighted by the fact that one of its main standards (HACCP) was originally invented by NASA! This does mean that each part of every F&B facility is probably going to face unique and interesting challenges that could well change from room to room, let alone between the different types of buildings and businesses. This demand for specialisms extends to what choice of floor each area will have. While there are certain commonalities (hygiene and efficiency for example), factors such as the processes, ingredients, machinery, workload, intensity and by-products encountered in each space will affect the choice of floor finish that should be installed. The floor needs to be up to the challenge of the site’s operations. In this example the coating needs to be able to survive very cold temperatures, prolonged exposure to water and provide slip resistance. To make sure that you pick the right floor, it’s important to consider all the operational parameters during the site’s design, build, maintenance and refurbishment stages. 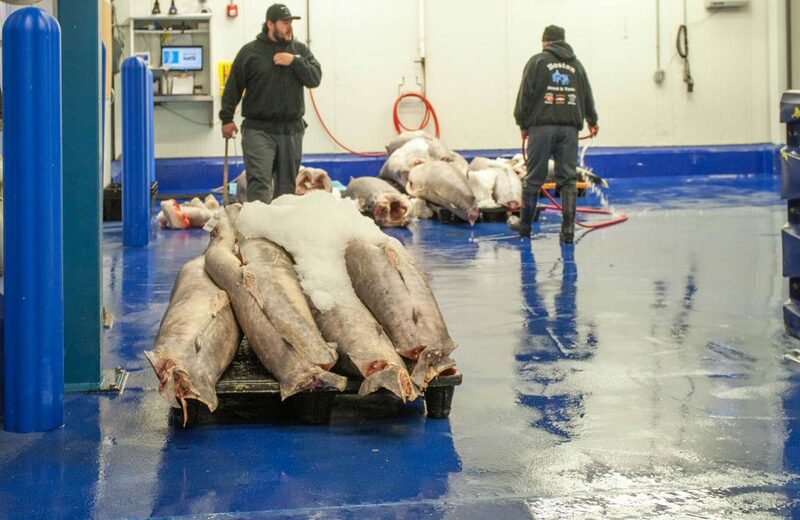 Doing this properly means that regardless of the specific onsite challenges, whether it’s corrosive sugary solutions, the low temperature of fresh fish storage or the movement of a herd of cattle, the environment in question will continually perform at its best. If the finish is not right and starts to deteriorate then it could put the facility at risk from a number of contamination, safety and productivity issues. 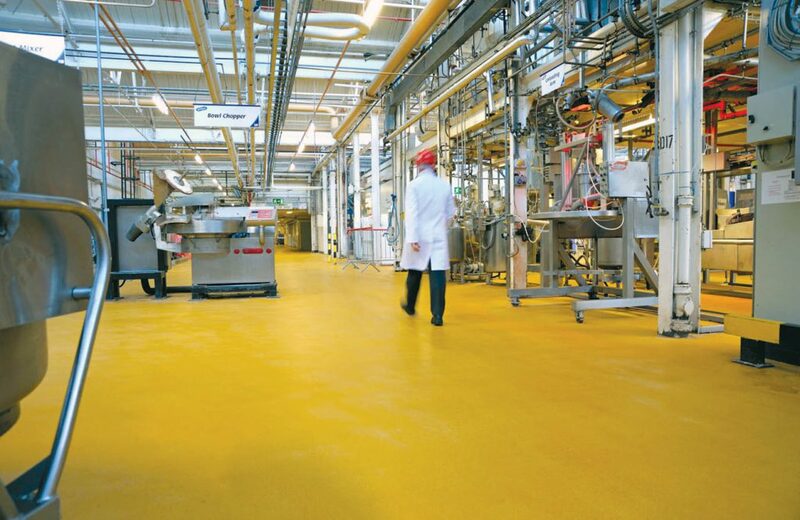 To help food producers pick the right flooring solution, antibacterial enhanced, polyurethane coatings are available that can be adapted to suit different circumstances. The versatility of this type of floor means that it can be tailored to different working conditions to ensure that it is ready for the task at hand. The thickness, chemical resistance, pitch, colour and slip resistance as well as key cleanability characteristics such as coving and drainage can all be adjusted to best suit specific operations. 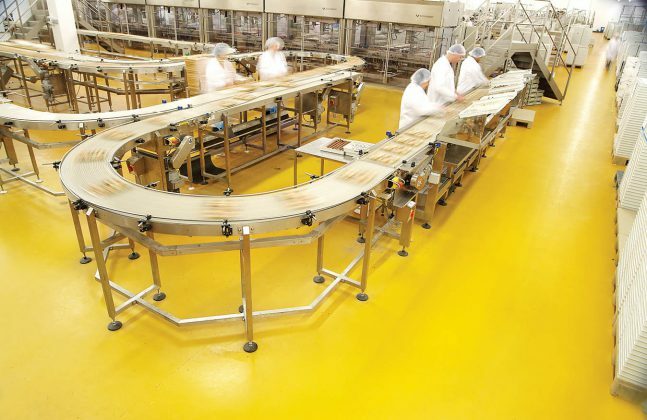 This adaptability was exemplified at McVitie’s production facility in Glasgow, which needed robust, hygienic floors in different textures throughout its busy production room. Flowcrete UK’s robust polyurethane coating Flowfresh RT in bright yellow was applied across the main thoroughfares of the plant’s Line 14, providing a sanitary, slip-resistant surface for this busy, contamination-sensitive area. However, the floor directly underneath the production line needed to be smoother than the rest so that this hard to reach spot could be easily cleaned. The smoother finished Flowfresh MF system was used to create a floor with the required profile here. The project was undertaken in four weeks during two phases, with another area (Line 19) seeing the coating applied in a live working environment so that the factory could keep on running without having to wait for the new floor to be finished (downtime being another important consideration to bear in mind). 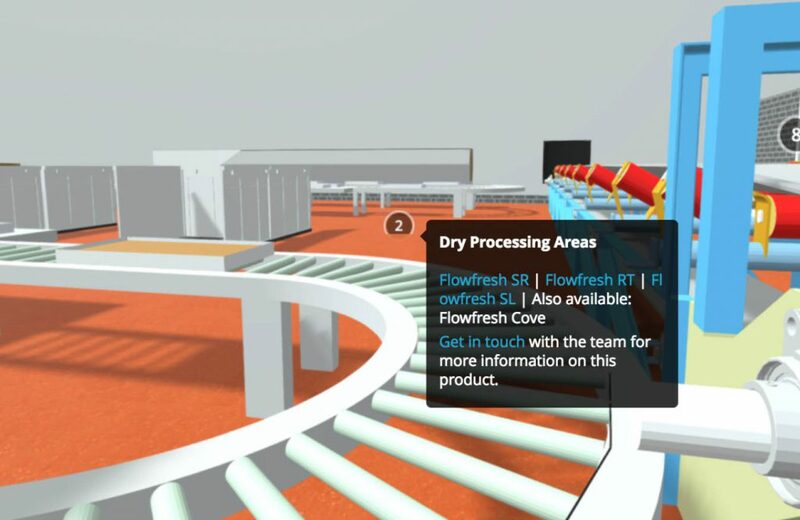 Check out this 3D model of an F&B plant to get an idea of just how many different types of floor finishes might be required within a single food production facility. Click this picture to check out an interactive 3D model of a F&B plant that details the different types of floors required in a industrial processing facility. Flowcrete UK has compiled a load of information to help food industry professionals learn more about the factors that affect food industry flooring and the solutions that are available to create fully optimised finishes. 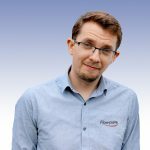 If you’ve got any specific questions, please leave a comment or send an inquiry to thefoodteam@flowcrete.com.